Housed in a sleek brushed Aluminium finish, this ultra-slim LED puck light can be surface mounted with the included mounting ring or recessed mounted for under cabinets or shelving lighting. 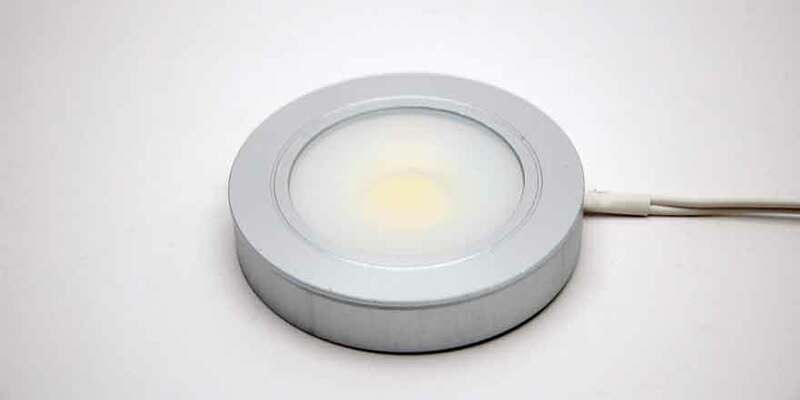 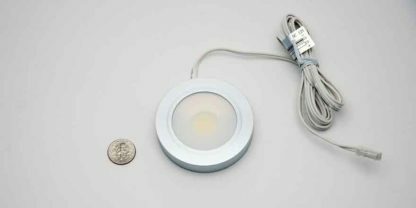 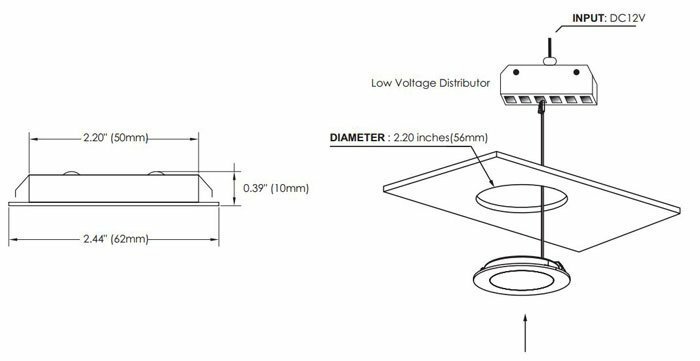 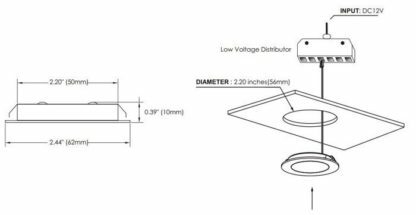 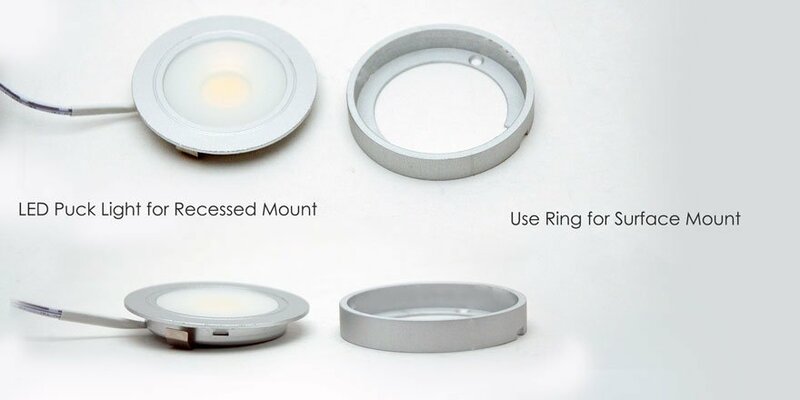 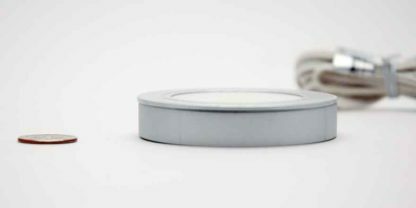 The LED puck light use COB lighting (Chips on Board), a new technology of LED packaging that provides a super bright LED light output without the spotting effect of traditional LED puck lights. 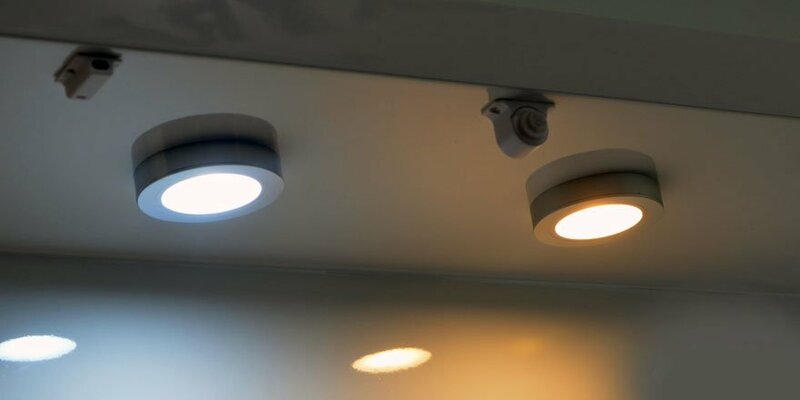 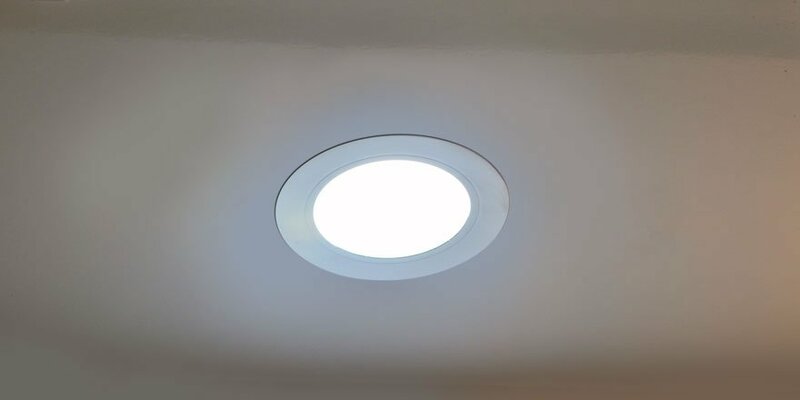 With COB LEDs, Multi LED chips are packaged together as one lighting module creating an even-light look rather than the individual LED dots, reducing the glare while increasing the width of the light.